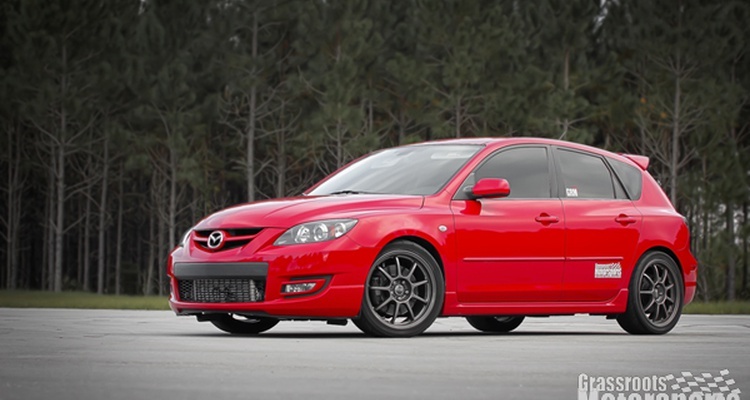 We sold the Mazdaspeed3 to someone who will love it like we did. 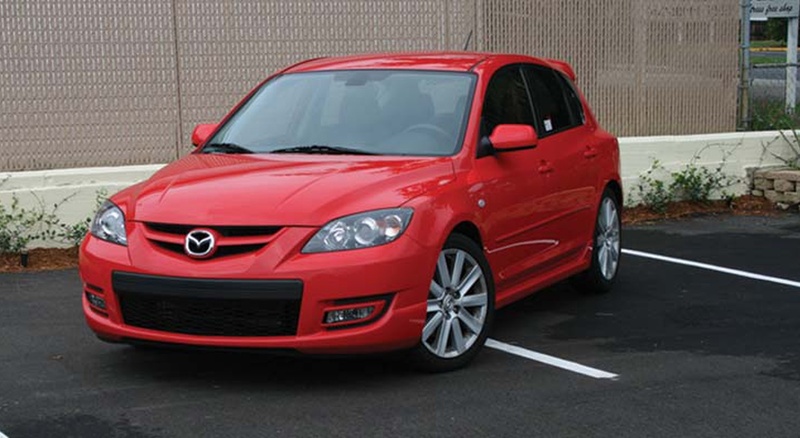 Our unsmiling Mazdaspeed3 has given us many smiling miles. 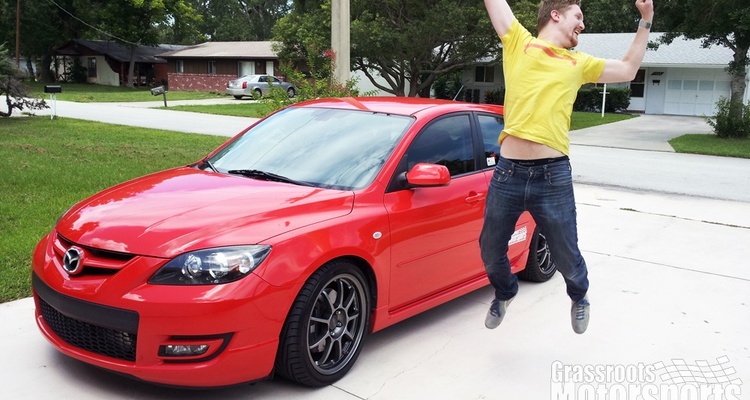 Swapping brake pads in our Mazdaspeed3 was trickier than we thought it would be, but we made it through. Watch for our Mazdaspeed3 in the pages of GRM starting in the June issue. 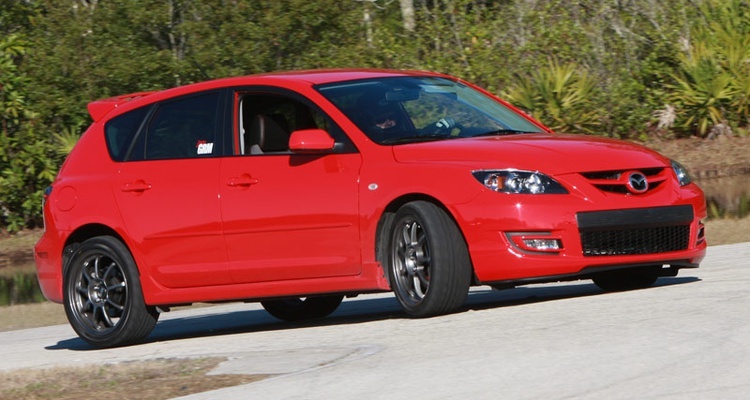 Tire testing on our Mazdaspeed3. 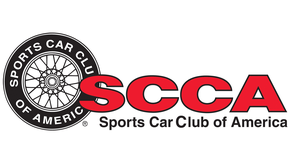 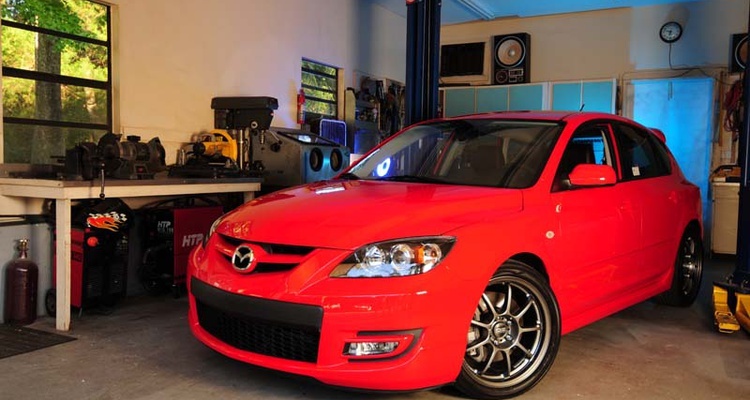 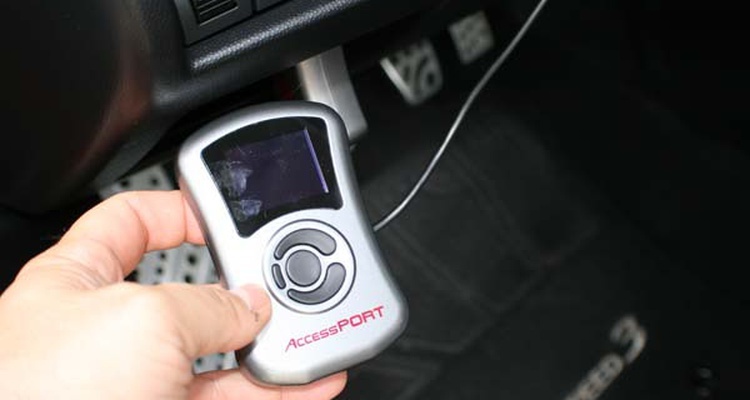 Cobb Tuning's AccessPort gives our Mazdaspeed3 a serious performance boost in just minutes.